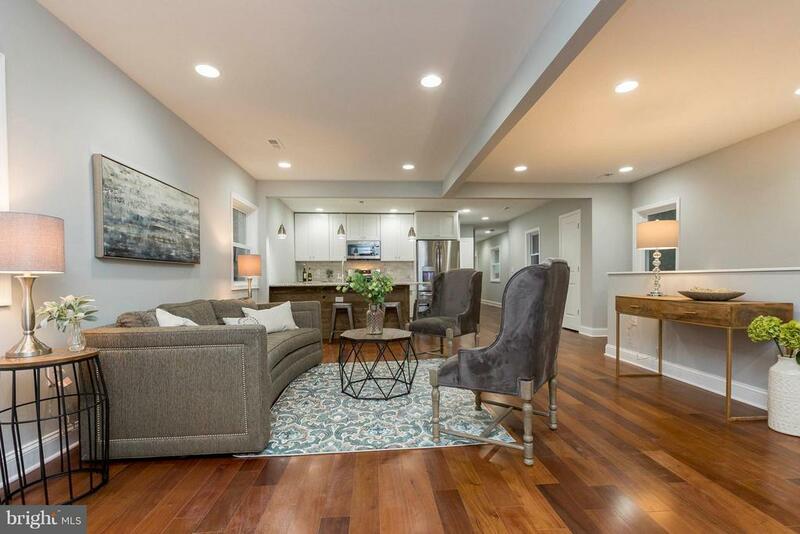 Updated bungalow style home in the Fort Dupont/Marshall Heights community featuring 4 BD, 4.5 BA, with finished basement! Features include: gleaming wood floors, premium appliances, on-trend designer finishes! Main level w/open floor plan - Living Room, Dining Room, Kitchen, Powder Room and 3 BDs each with private ensuite bathroom. Lower Level w/large rec room with wet bar plus 1 BD + 1 BA. Other features include a deep fenced backyard plus off-street parking. This home is conveniently located - three blocks to the Benning Road Metro Blue/Silver Line, nearby bus stops, plus minutes to Downtown DC. Photos were taken in the fall season, so grass is photo enhanced in some exterior photos. Share this! Send DCDC419458 to a friend/agent: From: To: Comments Spam quiz: What is ?